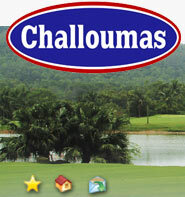 This dish can be served as a main course, or as a vegetarian appetizer. skewers (Wooden or metal) – how many depends on the size and the quantity of the vegetables you want to use. Cut up the bell pepper and the red onion to match the size of the cheese cubes. To make the marinade, combine the herbs, garlic, oil, pepper and add lime juice to taste. Put the cheese, pepper, onion and mushrooms to the marinade, mix all together, cover and place them in the fridge for 24 hours. If the ingredients are not covered, give them a stir now and then. Haloumi is salty enough, so add salt to the marinade if you personally like. 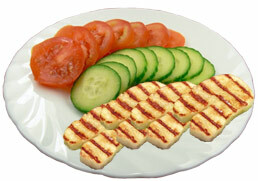 Next day, thread the CHaloumi mix onto skewers, barbeque or grill them, until the cheese is gets brown around the edges. Use the left over marinade for basting.